UPDATE: For a much, much larger image of this photo, click here. “Heritage Series” postcards used courtesy of the Lone Star Library Annex Facebook page. Postcard credits image to Dallas Public Library. 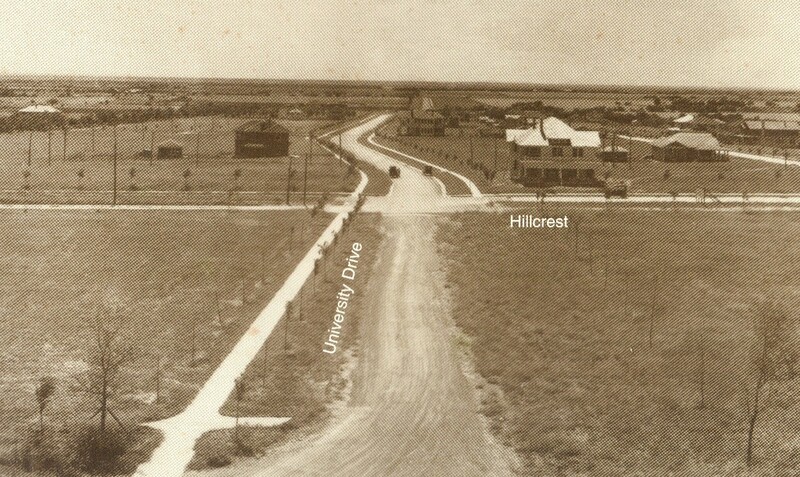 My great-grandparents built their house in the 2nd block of University Blvd., west of Hillcrest. It’s still there. The Park Cities Preservation Society (?) put an historical marker on it at my mother’s request in March 2008, just one month before she passed. She was at the dedication ceremony. So glad to hear that, Robert. There are some beautiful old houses in that area. I remember working with this image when I was at the Library. It is part of the Rogers Collection. a magnificent 8×10 glass plate negative. In identifying the location we were able to blow it up and read the street sign which told us the location. It’s a shame when most of us only see historic photos in a grainy, non-pristine, overly duplicated state. Five hundred bucks for that book is ridiculous! And I say this as a former bookseller who enjoyed making a profit when I could. Congratulations on the find! I grew up seeing the Cedar Springs book all the time, but only because my father was good friends with both Bill Wittliff of the Encino Press and A.C. Greene. I don’t have a copy NOW, of course, and I’ve never read it. Figures. I still have a couple of copies of the Cedar Springs book plus his “A Place Called Dallas.” I had donated copies of each plus the original and second editions of Justin F Kimball’s “Our City Dallas” and several other books by Greene, Payne, Hazel, McDonald, Castleberry, Starling, Rogers’ all three editions of “Lusty Texans,” Myers’ “Texas Electric Railway,” Mesquite Historical Society’s, “A Stake in the Prairie.” Peter and Andy’s “Dallas Then and Now,” Ken Fitzgerald’s with the same title, the “WPA Guide and Dallas History” and a few more to the Dallas County Pioneer Association library that then president Jim Foster kept in is office in Oak Cliff. Anyone know if it still exists? I don’t know if it still exists, MC (I hope so! ), but those are great books that you donated.